Overdyed Oushaks are traditional Turkish rugs with a blast of brilliant color that to some extent remind us of hand painted photographs. They could stand alone for their classic beauty, but the unexpected color adds a sort of magic that makes everyone want to look twice. They become a bold decorative statement that stand out in any room of your house, studio or office. This hot trend in the rug manufacturing industry involves an added phase in the finishing process in which the rug is antique washed, sheared and immersed in a bath of a vibrant color. 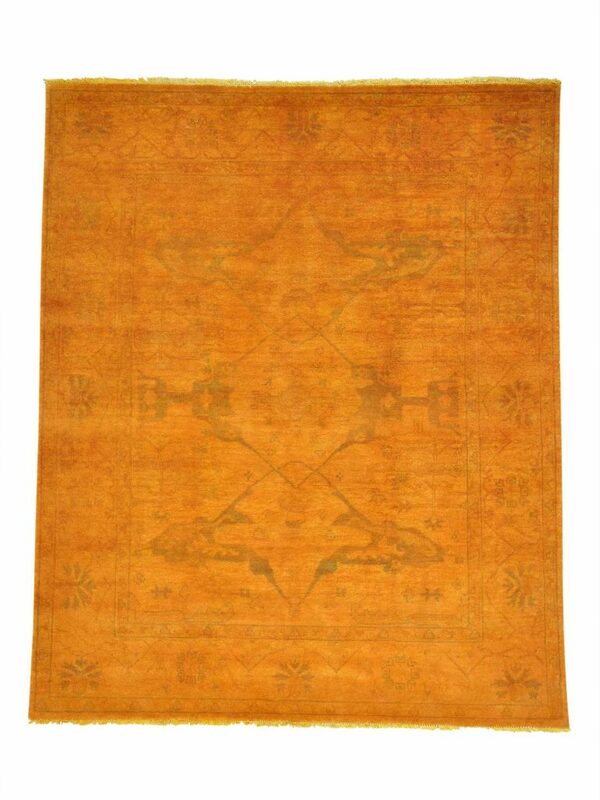 The results is amazing; a fiery tone overcasts a marvelous traditional rug and highlights the original dyes. It can be used for new or old rugs, so consider this alternative if you want to revamp that old piece you already own. Oushak rugs use a family of designs named after the Turkish city of Uşak in Western Anatolia, a town well known as a major center of handmade rug production since the Ottoman Empire. Nowadays Oushaks have different origins like India and Pakistan, but they follow the ancient techniques developed and carried down from generations of Turkish weavers. The designs are characterized by floral motifs and the luminosity of their colors given by the luxurious quality of the wool. It is important to mention that hand knotted Oushaks share the qualities of other hand knotted rugs. 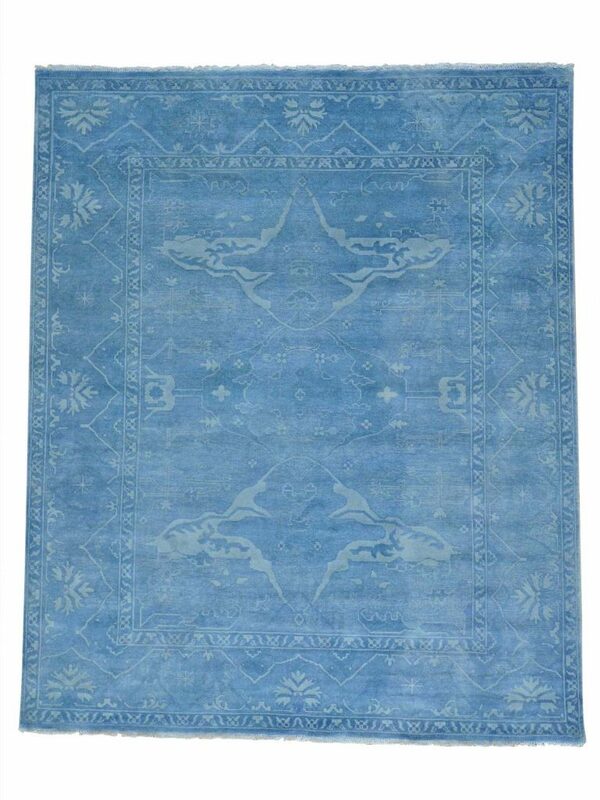 They are easy to clean, become more valuable over time and they outlast most other rugs. 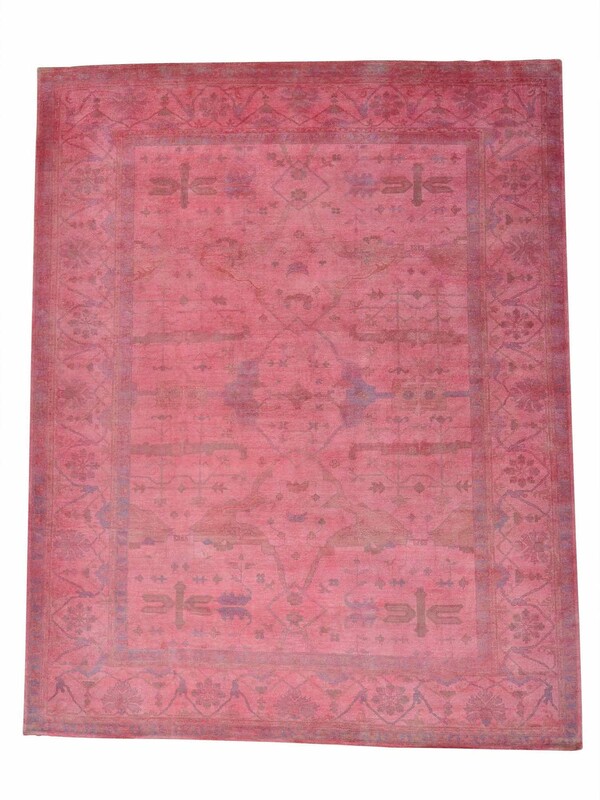 If you take good care of your fine hand knotted Oushak it can last up to 100 years. So be ready for a piece that will enliven your space for years to come!